Home > Blog > No Deal Brexit? A no-deal Brexit will take the UK out of EU animal welfare legislation. Maintaining animal welfare standards at the UK border will increase the workload of Official Vets in Border Inspection Posts, abattoirs and in veterinary laboratories. Training and deploying the necessary vets and support personnel will be a challenge to animal welfare and an opportunity for the veterinary profession. The welfare of animals traded within the EU is covered in Article 13 of the Treaty on the Functioning of the European Union (TFEU). This document recognises in law the sentient nature of wild, commercial and companion animals. EU member states are legally bound to respect the welfare of animals in agriculture, fisheries, transport, laboratory research, development, and even space travel. Animals brought into the EU, including the UK, must be checked and certified to EU standards. These standards are enforced at approved Veterinary Border Inspection Posts (BIPs). In the UK, the key personnel at these veterinary BIPS are the government authorised Official Vets (OVs). DEFRA defines an OV as a private practice vet who works on behalf of an EU member state. British OVs work on behalf of the UK’s Animal and Plant Health Agency (APHA) monitoring compliance with a range of animal and public health regulations including commercial animal export certification and the Pet Travel Scheme (PETS). Official Vets are in high demand, not only at BIPS, but in abattoirs, veterinary testing laboratories and other establishments where animal welfare and public health is a significant concern. Until 2011, the role of Official Vet was listed on the UK’s Shortage Occupation List, meaning that candidates could be sought from countries outside of the UK and EU. A no-deal Brexit will leave the UK outside of the TFEU welfare standards. Animals traded across UK-EU and UK-worldwide borders will require Export Health Certificates (EHC) signed by Official Vets. Chief Veterinary Officer, Christine Middlemiss, estimated that this extra work will require an increase of 225% in the number of OVs. RCVS findings are reinforced by the 2015 British Veterinary Association (BVA) survey which showed that 40% of UK veterinary practices took over 3 months to recruit professional staff or were forced to withdraw their vacancy altogether. A further 2018 BVA survey also showed a shortfall of 11.5% in vets and 7.6% vet nurses. The UK traditionally aspires to the highest welfare standards in traded animals. Separation from European regulations could create the freedom to set new and higher welfare standards in the movement of commercial, companion and wild animals worldwide. However, increased trade among countries with lower standards, apparently promising cheaper food imports, may drive UK farmers to resist higher standards and even press for less regulation. 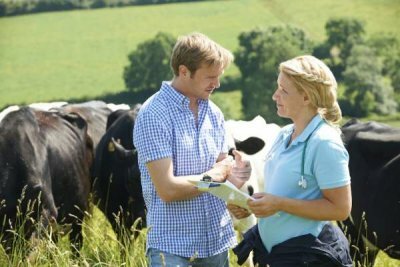 Whatever standards are adopted post-Brexit, the number of vets and vet professionals needed to monitor and maintain those standards in BIPs, abattoirs and veterinary laboratories is almost certain to increase. Meeting that need will be a challenge and an opportunity for the whole veterinary profession. Visit our website www.vetlabsupplies.co.uk and see our full range of veterinary equipment and consumables.